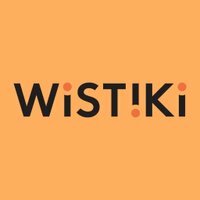 Wistiki (@TeamWistiki) is a French company that sells tracking devices. A user can link one of the devices to a smartphone and then use it to keep track of a set of keys, a car, or anything else they don’t want to lose. Wistiki wanted to generate more visits to their website, both to raise brand awareness and to increase sales. To achieve these goals, they decided to run a website clicks or conversions campaign with Twitter Ads. Targeting iPhone owners in France, Switzerland, and Luxembourg. "We chose Twitter because the platform allows us to reach out to anyone very easily. We also liked the simplicity of the format, which makes it high-impact, and that our cost-per-click was at least half that of other social channels." As Wistiki sells a relatively new product with a unique value proposition, the image and copy in their ads needed to convey the main uses of a Wistiki. This image showing a set of keys was particularly good at explaining their product at a glance and enticing Twitter users to click through to the website. When setting up a Twitter Ads campaign, you can choose to target desktop or mobile devices. Within mobile targeting, you can further refine: by Android or iOS, by operating system version, by mobile operator, or by specific types of device. As the Wistiki team realized their users mostly pair their product with iOS devices, they primarily targeted iOS users. They reinforced their targeting in their creative by showing an iPhone with a screenshot of the tracking program. The Wistiki team tested different variations of their Tweet copy to understand what would resonate the most with their audience. One theme that worked was asking a question. In this example, by asking users if they’ve ever forgotten where they’d put their keys, the Wistiki team could explain their product and remind users of the problem they’re solving in a concise and approachable way. Learn how to gain website conversions with Twitter Ads. Learn how to reach the right users with refined mobile targeting. Discover how this online retailer’s Tweets drove traffic and generated sales.